For Margeaux, an epiphany is what happens when your soul, mind, heart, and spirit—and perhaps the universe—all align and you truly feel like you “know something.” In that moment, Margeaux knew she wanted to have a studio just like that. She began to work “furiously” on drawing and painting so her parents would put her in a special art program. Since then, she has pursued art relentlessly, never looking back. She studied sculpture in college, and her art has appeared in galleries and shows all over the world. Margeaux has also worked in other media, including photography. After nearly 20 years of developing photographs on large panels of glass, she began to feel removed from the work due to continually manipulating images on a computer and relying so much on printers. Then she discovered new directions. Through her interest in Buddhism, she fell in love with the tea ceremony, and most of all, with the colorful raku tea bowls. Raku is a 500-year-old art form of making ceramic ware using a unique firing technique. This question immediately resonated with Margeaux because she recognized she had been having this conversation with herself from a very young age. She had always felt that beauty was the most important thing in her life—not necessarily physical beauty, but “beauty in terms of the experience of what it is to be alive.” Art taps into the imagination and can energize one’s aliveness. After many years of leading a solitary studio life, Margeaux realized she was ready to emerge and engage intellectually with other people to talk about these profound ideas. 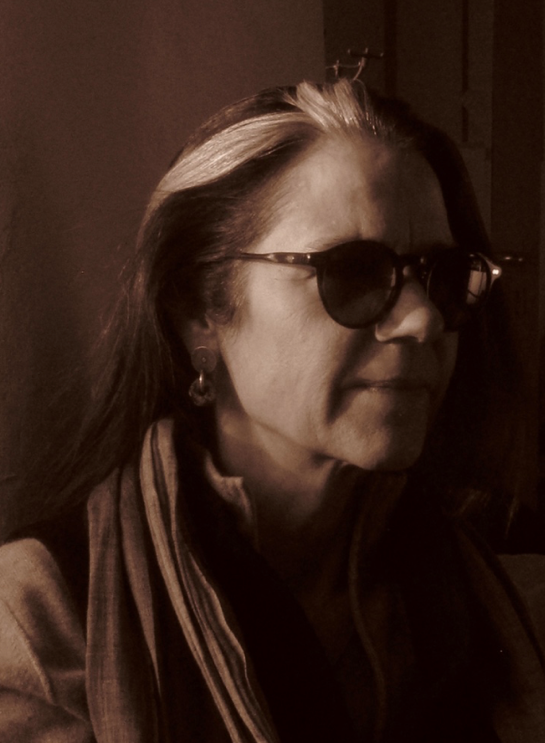 Since beginning the program, the initial concepts relating to mythology and archetype that drew her to Pacifica have continued to inform her work in deep ways and “articulate” her life. As an artist, she has always approached things from an imaginative direction and produced works in her studio that felt like they originated deep within her heart and soul. Now, well into her studies, she has begun to understand how to “read into” her work using a depth psychological lens. For example, Margeaux reveals that when making raku bowls, there's very little control over the final product. 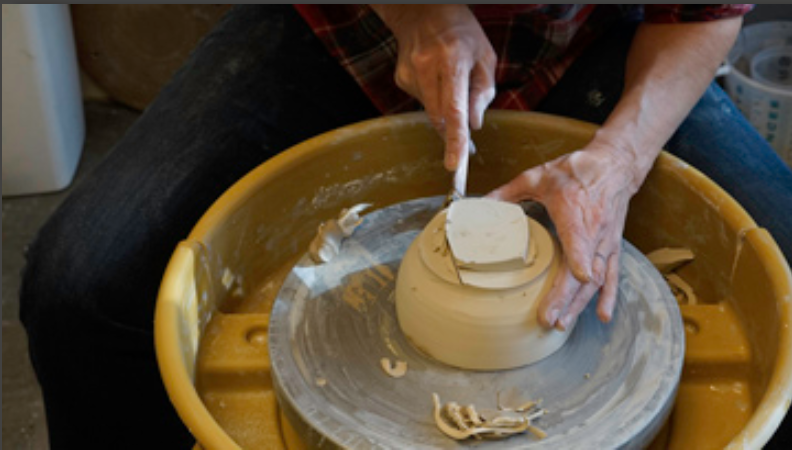 The raku process involves heating glazed ceramic ware in a kiln of about 1200 degrees for approximately half an hour. When the kiln door is thrown open, ambient air hits the heated, glowing red bowl, and causes the glaze to crack in unique and unpredictable ways. This sudden change in temperature can even crack the bowl or cause it to explode. Margeaux then places the bowl into a hole in the ground where the cooling process results in unique colors and patterns that contrast with matte black surfaces created by the extreme heat and fire. Margeaux initially had no idea what it was that appealed to her so much about creating raku bowls, except that the process seemed “essential” to her in some way. 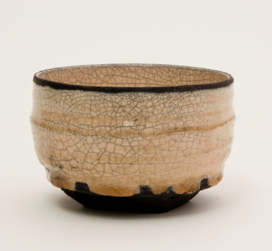 Once at Pacifica, however, she began to realize that she resonates deeply with the bowls because the imperfection or brokenness of the bowl reflects our own brokenness back to us. The bowl symbolizes that “fragile but flawed majesty that we instinctually know lies at the root of our being,” she insists—an understanding that she never would have experienced without her studies at Pacifica. Margeaux marvels how the unconscious psyche can take so many subtle avenues that we're not necessarily aware of. Now, reflecting back on some of her favorite works, Margeaux is able to articulate what has been meaningful about them. For one art project, she embroidered a series of Octavio Paz essays, about creativity and the creative process, on the inside of a coat. When she wears it, those ideas that have so much meaning are carried with her, even though from the outside, no one else knows. What resonates now from a depth psychological perspective is the idea that what we carry on the inside—words, soft feelings, or sometimes injuries—aren't necessarily part of our persona shown to the outside world. 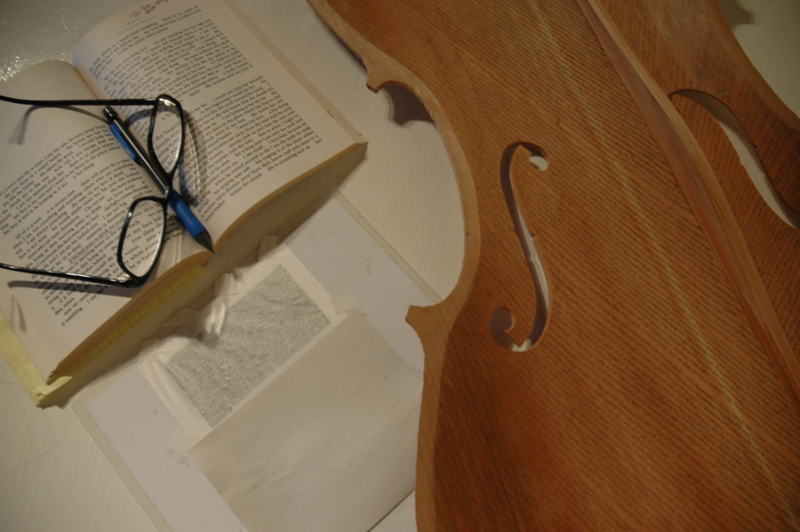 In another compelling example, Margeaux decided to have a cello made for her, a project where both the finished instrument and its actual making became part of her creative practice. 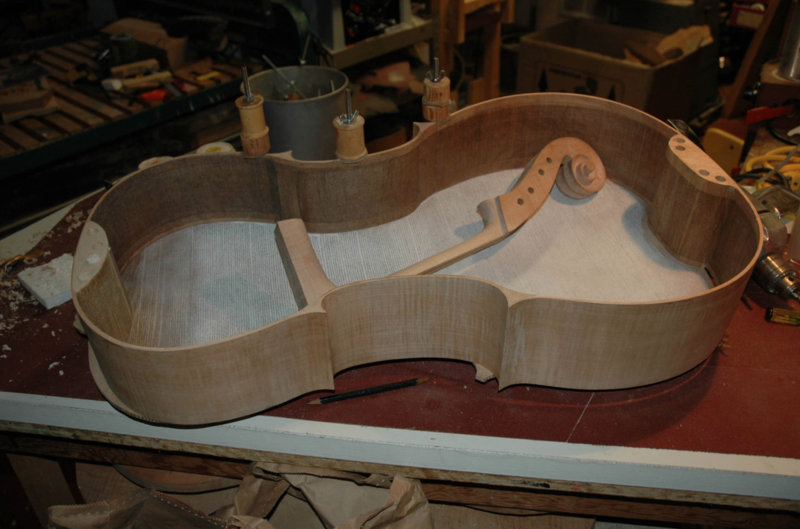 To her surprise, as part of the process, the cello maker asked what she would like on the inside of it. After much contemplation, she ultimately decided to hand-copy Beloved, the 1988 Pulitzer Prize-winning novel by Toni Morrison, on the inside of the cello because it had profoundly affected her many years previously. Margeaux wrote on each part of the cello as they were roughed out, then all the pieces were put together so the instrument she now plays contains the entire novel. Like some of her other art, this project was driven by an internal feeling and vision that she couldn’t fully articulate; all she knew was her depth of caring about Morrison’s story. When she reached Pacifica, however, a professor challenged her to write about why she wrote this novel on the inside of the cello. Beloved tells the story about a 19th century slave woman who fled to freedom with her two small children. When caught just a few weeks later, she is faced with the unthinkable choice of killing her young daughter to save her from becoming a slave. When Margeaux delved deeply into that story from a depth psychology perspective, she realized the slave woman wanted the baby to remain innocent. For Margeaux, killing the baby represents the ways in which our own best, innocent parts are silenced because of wounds we've experienced in the past. Themes of “inside and outside” have continued to reveal themselves in Margeaux’s work. 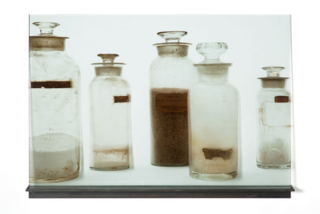 In another project, she photographed old apothecary jars which contained mysterious powders and substances. She developed the images on large panels of glass, which created a compelling reiteration of the images of glass jars on glass, again having no conscious idea why she was drawn to create these particular images. Even more interesting was that people were very responsive and often wanted to purchase an image with a certain jar, even though they, too, couldn't say why that specific jar appealed to them. Looking at it through a depth psychological lens, she now believes the container reflects what is inside the soul. The pull to these glass jars, she affirms, is the thing inside that you don't necessarily see but that you're somehow touching. One of the gifts of depth psychology is the capacity to understand that there are invisible forces at work in the unconscious all the time, and that with awareness, we can grasp some context and understanding when we begin to pay attention. When I think about invisible elements in Margeaux’s work, like the essays inscribed inside the coat, the story inside the cello, or the mysterious substances inside the jars, it reminds me of a story about monks inscribing prayers onto rocks, then placing them in the river so the prayers would be carried downstream to the rest of the world. Creating some kind of form by which these invisible elements can manifest and actually effect action in the world is a remarkable gift that humanity has been given. Artists, poets, and musicians certainly tap into that process. In our fast-paced society that is so focused on technology and science, we often forget how, as human beings, our souls can affect the soul of the world with the things that we do, Margeaux says. As an artist for 40 years, she has created intuitively for a long time. While the work has been extremely stimulating, she only now realizes that her unconscious was giving her information through the art. She points outs that this is much like dreaming and not writing those dreams down. 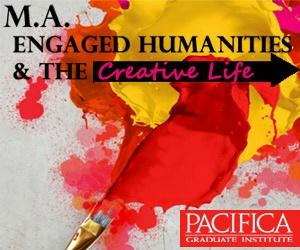 Margeaux’s artistic explorations continue to grow and be fed by her studies at Pacifica. She is currently working on a documentary, a new medium for her, inspired by a film class that required students to make a short film in order to learn about the technology. There’s a learning curve, she admits, but she’s already beginning to see how her documentary topic may have many layers of underlying meaning waiting to be excavated and revealed through this new art form. The unconscious does indeed reveal itself in numinous and compelling ways. Margeaux Klein has been exhibiting her artwork nationally and internationally since the early 1980s, represented by numerous galleries. Her work has been exhibited in museums and national venues such as the Corcoran Gallery of Art in Washington, D.C. and can be found in many collections including the John D. and Catherine T. MacArthur Foundation. Klein has lectured at universities across the country, taught workshops, spoken at conferences, and has been a visiting professor in the graduate department at the University of Illinois. Over the course of her career, she has used a wide variety of materials to express ideas. Along the way she has identified herself as a painter, a sculptor, a photographer, and a potter. Currently she is working on a documentary film.